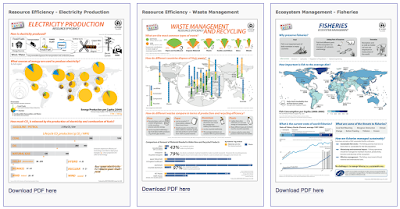 The United Nations Environment Program offers a series of free posters based on data from the UNEP's Geo Data Portal. 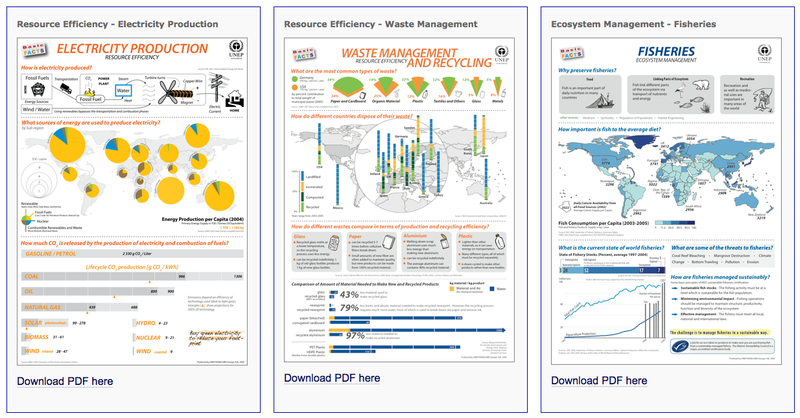 These posters use charts, graphs, and maps to display information about environmental data. Some of the topics covered in these posters include electricity production and consumption, CO2 emissions, ecosystems management, and hazardous materials. Each fact sheet, poster, and infographic is available as a PDF that you can download and print. Teachers of environmental science may want to print these posters for display in their classrooms. You could have students study the environmental problems represented in the posters and then develop potential responses to those problems. Over the last ten years I've had the privilege to visit hundreds of schools and conferences to lead professional development workshops. During that time the topics of my workshops have evolved in response to the continuously evolving field of educational technology. What hasn't changed is that the goal of my workshops is to provide you with ideas and tools that you can use in your classroom right away. Three or four blocks of time for hands-on learning activities. Each block has a focus and "product" that teachers will create. The length of these work blocks is variable depending on the group, topic, and available time. Beginner G Suite workshops have a slightly different structure to provide time to try all of the core aspects of G Suite for Education. Below you'll see a list of my ten most popular workshop topics of the last year. Some schools will choose to have me go in-depth on one of these topics for the whole day while others will choose to spend time on three or four of these topics in one day. That's a decision that we can make together based on your faculty's needs. 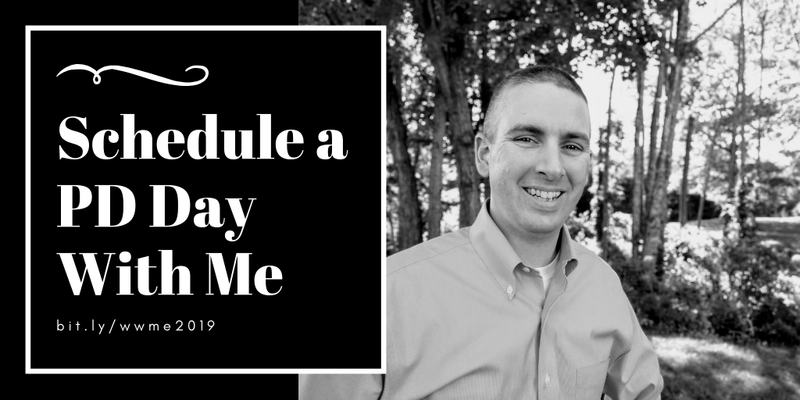 The easiest way to book a professional development day with me is to send me an email at richardbyrne (at) freetech4teachers.com or fill out the form that is embedded below. If you have a date or dates in mind, please include those in your note. I'll get back to you ASAP with my availability. That's the big question that everyone has. In short, I strive to make it cost-effective for everyone. I'd rather help more teachers than haggle over fees. That said, the cost depends on two things. First, your location relative to my home in Maine. Second, length of engagement and topic (some workshops require the purchase of physical materials for participants). Send me a note at richardbyrne (at) freetech4teachers.com to get a quote. Finally, one of the best compliments that I ever got from a school after my time with them came in the form of this video. 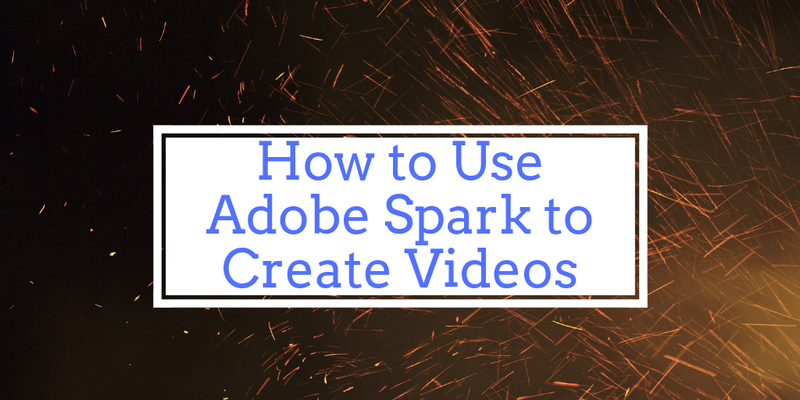 Since the first day that it launched two and a half years ago, I knew that Adobe Spark would be a great tool for students to use to create videos. Like any good product it has evolved over the last couple of years by adding more features without eliminating the core features. Some of the outstanding features of Adobe Spark include an integrated image search, a simple voiceover capability, and the option to insert and edit existing videos for inclusion in a bigger project. 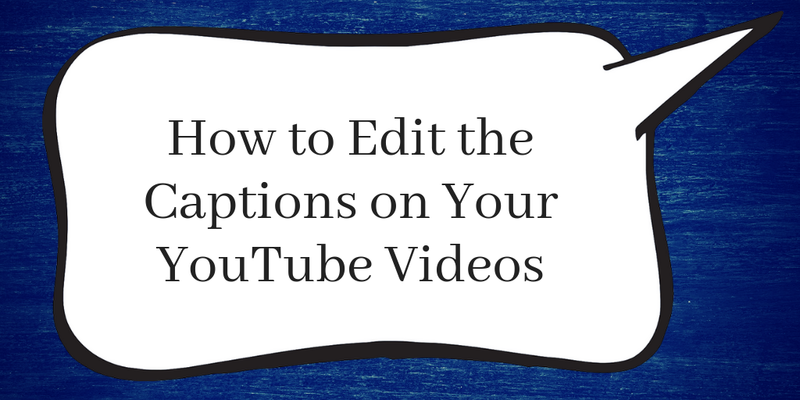 This morning I made an updated version of my Adobe Spark video tutorial to replace the popular one that I published a couple of years ago. My new Adobe Spark video tutorial is embedded below. You can also watch it on my YouTube channel. Learn more about classroom video projects in my upcoming Practical Ed Tech course, Video Projects for Every Classroom.